Kerala is limping back to normal after the devastating floods that wreaked havoc in the state prompting red alert in all 14 of its districts. While the rescue activities and immediate relief are now a thing of the past, the state is struggling to turn a new page and the focus is on reconstruction and rebuilding. 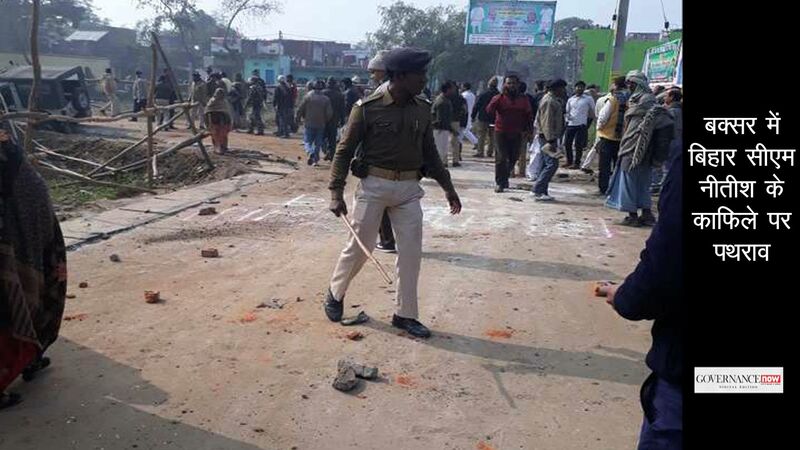 The state confronted the floods with an overwhelming rush of unity and a spontaneous rush of human goodness, without any differences of political, social or communal leanings. But what is it that the state must do to prevent a recurrence of such a catastrophe? That is the question which is bothering everyone in the state today, even as there are questions if the floods could have been avoided given the fact that most of its dams were almost full in mid-June, two months before the floods. The first doubt was raised by the leader of opposition, Ramesh Chennithala of Congress party, days after the torrential rains stopped. After working in unison and speaking in one voice with the chief minister and his team holding joint air inspections of the affected areas and press conferences, Chennithala seemed disturbed as he raised the question as to why the dams in the state were opened at the same time when the floods were at their peak. If it is of any comfort to the state government led by chief minister Pinarayi Vijayan, the Central Water Commission (CWC) has ruled out the role of dams in causing the floods. It said that the unexpectedly heavy rainfall was the cause and dams had nothing to do with it. Whatever be the case, the fact remains that the state needs to face the truth that all is not well with the governance of dams and it needs to take a few steps to make them foolproof. Himanshu Thakkar of the environment group SANDRP points out that Kerala got 40 percent of its entire south-west monsoon rainfall in a space of four to five days in mid-August. According to the CWC, the rainfall was 41 percent more than normal in the whole state, with 89 percent increase in Idukki district (one of the worst affected) and 75 percent increase in Palakkad district (another badly affected district). 1. While dams can prevent floods by holding a lot of water, they reduce the carrying capacity of the downstream rivers. Kerala has not ever measured the carrying capacity of these rivers. Hence, when it opens a dam, it has no clue whether the downstream river can take so much water. The solution, says Thakkar, is to regularly measure this. For example, in the Tapti river the carrying capacity was 8.5 lakh cusecs before a dam was built on it. After the dam was built, it shrunk to 2.5 lakh cusecs. So if a dam suddenly lets out 8.5 cusecs it is bound to be disastrous. 2. Kerala gets two monsoons – the south-west from May-end to September and the north-east from October to December. Hence in June, that is in mid-monsoon, when the dams are 70 percent full, they should start releasing water rather than wait till overflow. Kerala waited till the rivers were in full spate and the dams were overflowing before it finally opened the sluice gates of six to seven dams in a span of two to three days. There can’t be a better recipe for a deluge, says Thakkar. 3. While Kerala is the only state perhaps to have a Dam Safety Act, its implementing authority has no role whatsoever in the governance of the dam. Any decision on release of water of dams should be done scientifically taking into account daily information on upstream rivers and downstream river carrying capacity, besides the forecast of rainfall. For this decision making the authority should be more participatory and transparent, says Thakkar. It should be a panel with 50 percent members from outside the government, including experts. Now there is no managing committee to implement the requirements of the Dam Safety Act. The authority set up under the Act has no well defined role either. Today, decisions are taken by engineers of the electricity board or the irrigation department who do not have access to all the factors mentioned above. In the past the dam in Idukki district, for instance, was opened just twice in its entire existence and that too in the north-east monsoon as water never filled up in the south-west monsoon. However, this time it began filling up as early as June. By the first week of July there were panic calls from environment groups and experts. Letters were written to the water resources department, the collectors and others concerned but to no avail. Their plea was that the dams should be opened by June 17 as the they had filled to 70 percent of capacity. However, they were opened later in August when they began to overflow. This, says Thakkar, is an example of how unscientific the decision making process is at present. This must change if catastrophes have to be prevented in future, he says. Chalakudy was under water hours after the dam was opened. Mahdusoodanan, a hydrologist from IIT Bombay, has been monitoring the storage data regularly and had been alarmed to find storage levels of most dams touching 80 percent in mid-June. He said that he wrote letters to both collectors of Kochi and Thrissur. This was followed up by environment group Chalakudi River Samiti, which sent letters to all ministers. “But there was no response. 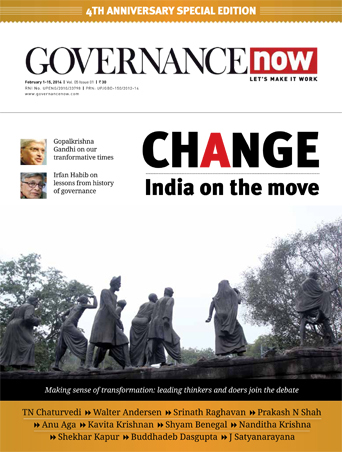 The problem is that in the dam governance system there is no opening for views of outsiders and experts. It is closed,” says Madhusoodanan. As for the CWC’s clean chit to dams, he says it is a political statement as it wants to play safe and wash its hands of the responsibility. They must explain what they are saying with evidence. He says three-fourth of the 44 dams in the state don’t give any data on storage levels on their website. Some are operated by the irrigation department, while some by the electricity board and still some others by the Tamil Nadu government. The electricity board gives data only on the major dams leaving out the majority of dams. The irrigation department and Tamil Nadu government give no storage data whatsoever, he says. 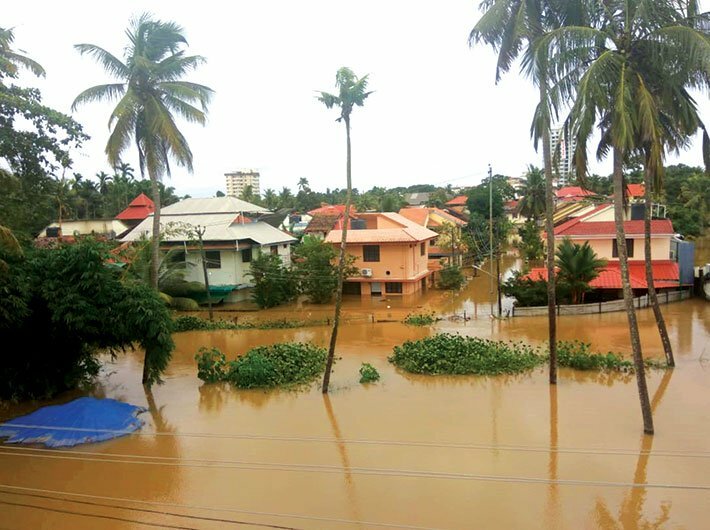 “Chalakudi town in Thrissur district was submerged as there were six dams there which were overflowing in August and their water could have been released two months earlier,” he says. Greed for generating power overtakes safety concerns and now this has caused worse losses than any of the departments could have imagined, he says. Madhusoodanan is preparing to file a PIL in the supreme court questioning the ability of the authorities to operate the dams when they do not know how to control them. The Kerala government does not accept that the late opening of the Kerala dams was to blame. Yet, it has ironically complained to the supreme court that Tamil Nadu, which operates the Mullaperiyar dam situated in Kerala, opened it when floods were at their peak. While this is the case of Kerala, the situation is worse for the rest of the country where no storage data is available for dams and downstream states suffer the actions of dam authorities in the upper regions, he says. As for Kerala, unless the government takes some remedial measures to ensure safety of the dam operations, another catastrophe may not be far away. In fact, if the coming monsoon in October takes a fierce form like this one, the tragedy would be repeated again, say experts. The Kerala floods witnessed an overpouring of compassion and selfless action from people within and outside the state making the relief operations smooth and limiting the deaths to less than 300, despite entire towns and villages going under water. The entire state turned into an army of relief workers within hours of the flood and worked shoulder-to-shoulder with the government officials to help those who were marooned. The story of fishermen launching their 600 boats into the flood-hit areas has now become a part of Kerala’s contemporary folklore and the community which was looked upon as the lowest on the social ladder is now being worshipped as heroes. Says a fisherman who left with his boat along with eight others: “We did not know where we were going but all we could think of was that if we could save even-eight people, our lives would have been worth lived...” They ended up saving 800 people. In their huge boats they reached towns unknown and unrecognisable to them, finding their way holding on to electric cables, and rescued people. Hundreds of WhatsApp groups and internet helplines sprang into life and people rushed forth from their homes in less affected areas to join camps and help in rescue and relief operations. Youth was the face of the entire operations with young college students helping in packing and delivery of supplies. NRIs formed another wing of the entire effort. 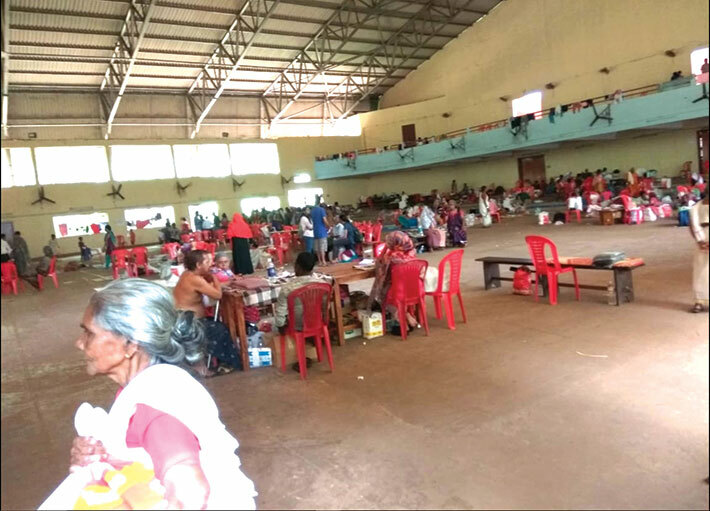 Siji Thomas sitting in Bahrain was coordinating efforts in Pathanamthitta district, helping with funds collected from fellow NRIs to buy goods required for the victims. Damayanti Biswas, a writer based abroad, turned Twitter into a platform to source help from all sides and to reach out to the needy. “We found resources on Twitter via other kind and knowledgeable tweeps: transport, water, school supplies — it all stunned me the first day because I’d never imagined social media could have a potential for so much good,” she wrote in her blog Daily (W)rite. “We had 4 million hits on the keralafloodrescue.com site in about 10 days with people from all walks of life searching for information about the flood affected areas, and using it to coordinate their efforts on the ground. I haven’t met the other team members, and not even spoken to some of those working behind the scenes. I probably will never get to meet them — but I’m fortunate I got to be part of so much brilliance and compassion,” she says. The stories of heroic altruism are endless. Kuttanad where houses are still under water and slush and people are yet to go back to their homes saw efforts by individuals like Jeffrey Thomas, who runs a home stay in Ayamanam, the native place of writer Arundhati Roy. He left in his kayak and went around to look for neighbours in the marooned village. The first rescue was of a dog who was crying piteously with just its face outside the water, he recalls. He went on to save many and later used WhatsApp to gather resources and began supplying them in affected areas and in camps that began to be set up in houseboats in the area. Madan Babu, an official in the finance department of the government, and his wife, an official in the revenue department, ran a camp in Kochi using the large network they created through WhatsApp. It had film makers, theatre persons, government officials, students and people from all walks of life. “I was stunned by the goodness that poured in from all sides as we started getting pumps, gadgets, and medicines and all that people needed,” he says. 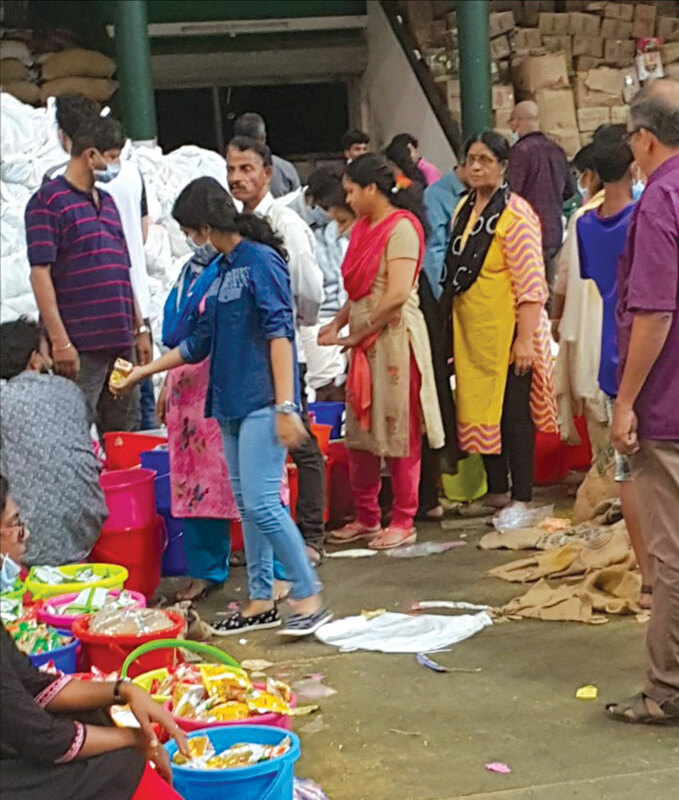 The government officials and collectors and ex-collectors were also leading the efforts. A former collector of Kozikode, Prashant Nair, started a website called Compassionate Kerala which connects donors to beneficiaries and their needs in a very transparent way. 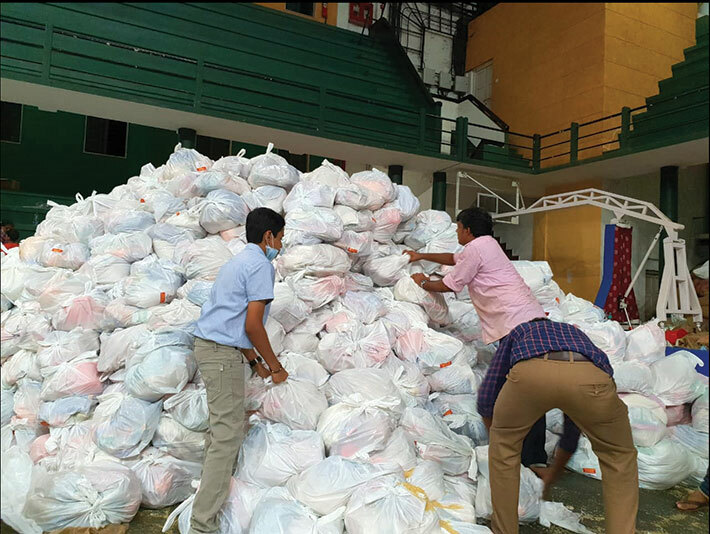 The collector of Kochi started a site called Anbodu Kochi on Facebook and it gathered students and the youth from across the state to engage in relief activities, turning the state almost into an army of volunteers. Besides all this there were ministers and MLAs carrying sacks of rice and other supplies into camps and cleaning up houses covered in slush. The Chief Minister’s Relief Fund has been receiving an overwhelming response too as its collections have crossed '1,000 crore, which however is nothing compared to the over '50,000 crore loss that the state is estimated to have incurred, with close to 20,000 kilometres of roads washed away and hundreds of houses damaged beyond repair.